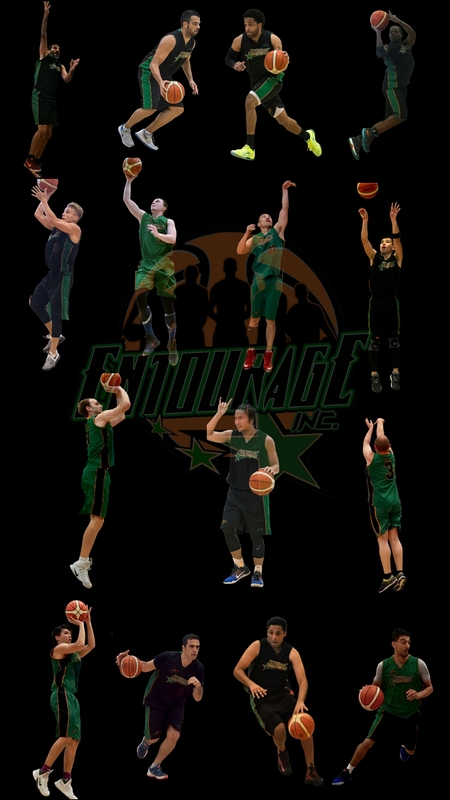 The champs get some swag… | ENTOURAGE BASKETBALL INC.
One of the items on the (small) list of complaints by some EntourageBBall players last season was the lack of a matching look during practice. Investing the 500 Dollar prize money from the Crossover League title win, team manager Dave flipped that reward into a custom-made reversible training top for the team. Prime sponsor Matsing, generously covered the balance of the purchase. Inspired by NBA-teams’ practice gear, a proposal was sent to E.B.I. uniform makers, DOS-Hong Kong, who then, as always, helped design the item. The final sketch was decided upon by team management with added input from Matsing Managing Director, Mike. Players were able to take hold of their numbered practice jersey during the 2nd preseason session, January 16th. Feedback was overwhelmingly positive, the design and fabric receiving the most praise. The new jerseys are another step in the right direction for the reigning champs, giving the players something more to identify with Entourage Basketball Inc. while showing the leadership’s dedication to the upcoming season.